ComScore: Kindle Fire Holds 54% of the Android Tablet Market in the U.S. 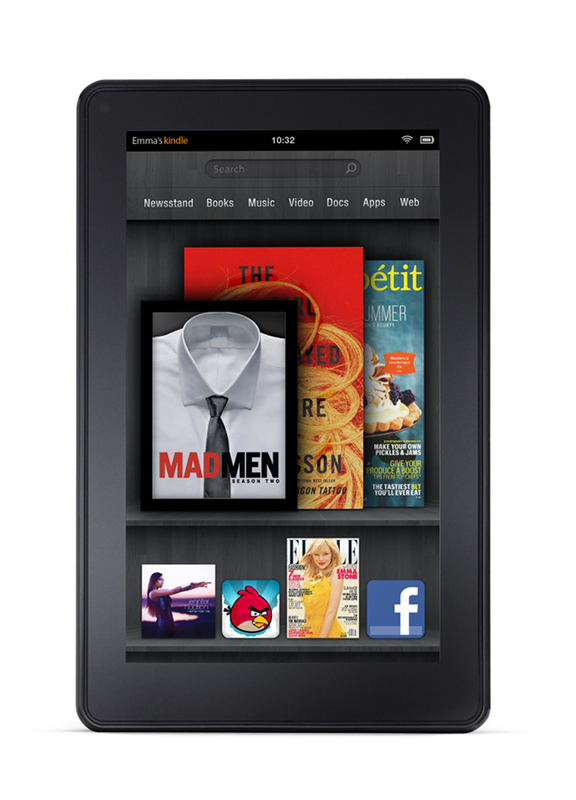 In not-so-surprising fashion, Amazon’s Kindle Fire has been announced as the top dog in the U.S. Android tablet market according to the latest ComScore numbers. What is a bit surprising is that the device makes up for 54% of it. 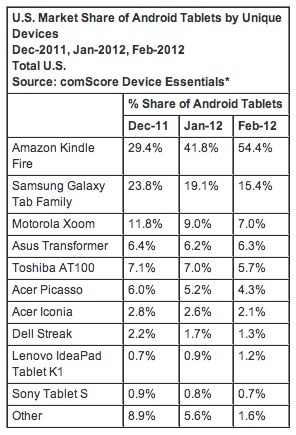 The Samsung Galaxy Tab family comes in at 2nd with around 15.4% share and no one else even cracks the double digit mark. So in 5 months, the $199 Fire has taken over and probably won’t bother to look back. You can imagine that Google is doing whatever they can to prepare their $199 tablet for release, especially since the Kindle Fire isn’t necessarily looked at as an Android slate. Sure it runs Android, but you can’t tell since Amazon customized the heck out of it and uses their own app store. The price point is nice and hard to argue against though. We covered the Fire a bit when it first launched, but got the feeling that many of you were not all that interested in and cut back. After looking at these numbers, I’d say that people actually are fairly interested in the device. So tell us, are you a Fire owner?